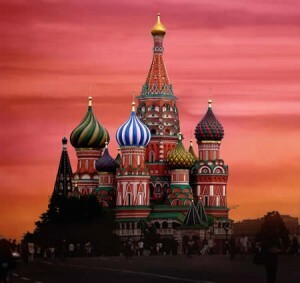 We are excited to announce the first RPT courses in Russia and Ukraine, commencing May 2011. These will be taught by the co-founders of RPT, Simon and Evette Rose. We are grateful to our promoter Dmitry Yeschenko for organizing both courses. The courses will be taught in English by Simon, with professional translation. This means that anyone who speaks English or Russian can participate in the courses. We are expecting a large number of participants from across Europe. Dates: Level 1 & 2, 13-17 of May 2011. Venue: Center “Real Way”, Moscow. Level 1 only Early Bird price $600. Level 2 only Early Bird price $650. Special package: Level 1 and 2 together: $1,100 only ($150 discount), but you must book before early bird deadline on 10 April. 50% deposit, balance on first day of course. Dates: Level 1 & 2, 20-24 of May 2011. Venue: Center “Real Way”, Kiev. Special package: Level 1 and 2 together: $1,100 only ($150 discount), but you must book before early bird deadline on 15 April. 50% deposit, balance on first day of course. For more information contact Dmitry (speaks English and Russian) on +7 909 926-84-90 or email him (dmitry.yeschenko@gmail.com). Additional information in Russian on his website. Reference Point Therapy website for payment via PayPal (including credit card payment), or bank transfer to UK account. Visit the Level 1 page for Level 1 course only, or Level 2 page to do the Level 1 & 2 package.